Emerging T.O. 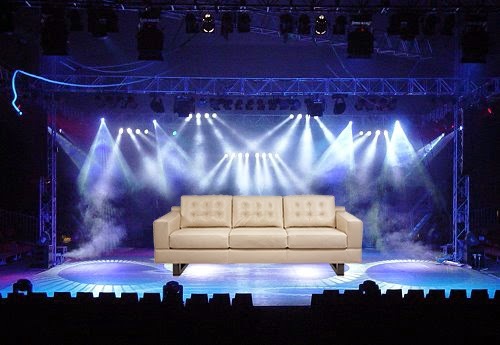 : IS STAGING WORTH THE COST? IS STAGING WORTH THE COST? It's a very common experience. One that I have experienced myself! When sellers decide they are ready to sell their homes, they may become overwhelmed by all that could be done to prepare their home for sale. And then there are the costs: the lawyer fees, moving fees, commissions for real estate salespersons. If they are buying, there are the cost of land transfer taxes as well. It's an exercise in anxiety inducement, and a crash course in time management. So, the idea of spending time and resources on staging a house for sale can feel like something some seller would prefer not to do. Staging takes time and some finesse. This kind of fluffing cannot be just fluffed off. It needs to be done right. Still, I think it is well worth it. I like to think of staging as a kind of an investment in a stock. There is no guarantee that this stock is going to make you money. You may spend money on this stock, and you may not see a return you like. As a gambling man, who has seen this kind of investment over and over again, I can say that I have seen a well-done staging make sellers more money than if they didn't stage. So, for example, if a seller has a house for $700,000 and spends $4000 on staging, I believe the staging will affect the price so that that staging investment will return the seller that $4000 they spent, and make the seller more. But staging is not just about money, it's about time and effort. Staging is best when you completely edit out and declutter most of your home. Some or all new furniture is brought in to possibly mix with your own. In a way, a staged home is not a personal home. It's warm and stylish enough to draw people in, but not too personalized so they cannot imagine themselves living in your home. It's a fine line. Even if you have an empty place, I think staging will help buyers to see what they can put in the space. Nothing says "This place is small" like an empty space. There are a few times that staging may not work. In places that really would be a tear-down or in need a of massive renovation after a long period of neglect, there is no use putting lipstick on a pig. Staging in this case would look silly or like the sellers are delusional trying to sell the high life in a place that is a dump. Staging is not the only part of selling your house that needs to be done right. As I have blogged about before, you need an expert marketing plan that will allow for you to compete with the other homes for sale in your neighbourhood. You need to come out as the best. So, for example if there are three similar houses on a street that are for sale on the same day, and you have nine buyers, each house will not pull in three buyers each. Life is not that fair. The top one will pull in seven, another may pull in two buyers, and the last one will not have any buyers. You want to be the top house. You want to be in a position to tap into the emotional side of buyers. Most buyers say the are going to make rational decisions, but I have seen time and time again how buyers can be drawn into a house that offers them a feeling. Staging does not offer them a delusional feeling, but I believe it's more like presenting a house at its very best. With all that said, there are still this who poo poo the power of staging. I agree that all staging is not the same, and not always worth the time and effort. It's not just simply putting some pretty flowers on a table. You need to have a salesperson who has a track record in staging and who can stage themselves or pull in a stager who knows their stuff, and how to stage for the style of the home. An oversized Leons faux leather sofa is not going to stage well in a tiny condo. So my advice is simple. Almost always stage. It's a good investment that usually returns more than you spend. And do it right. Declutter and bring in those who know a thing or two about staging.